I am playing a lot of The Elder Scrolls Skyrim: Special Edition these days- it’s actually en route to becoming my most played title released in 2016. And as I play it, I fall in love with it all over again, reminded of why Bethesda’s 2011 RPG classic enamored me so much in the first place to begin with. But at the same time, I am also more aware of the game’s faults this time around, of which there are actually a whole lot- none that stand out more so than the game’s propensity to rely on fetch quests. Look, Skyrim has some darn good quests, don’t get me wrong- but when the bulk of quests boils down to ‘go fetch 10 of X’ or ‘Get 3 of Y’, often with the flimsiest of in game explanations, it starts to all feel a bit trite. 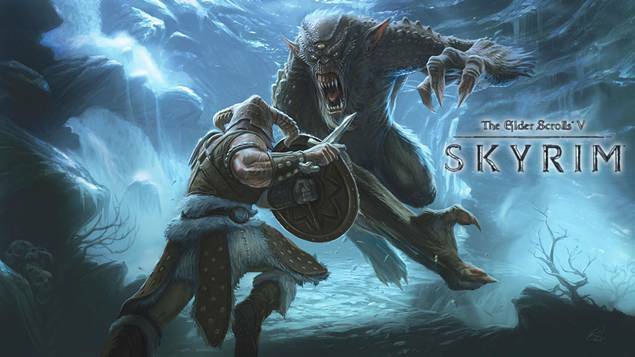 This is not a problem unique to Skyrim– it has plagued all Bethesda games for a while now, and Fallout 4, especially, suffered from this greatly, t0o. And I love myself some Bethesda games, I do, but they really need to stop their reliance on fetch quests so much going forward. When Bethesda put out Fallout 5 and The Elder Scrolls 6, they need to ensure that they aren’t so padded out by fetch quests. Look, I get that in a game this big, a lot of quests will ultimately amount to fetch quests, but there is no reason that the entire ‘Miscellaneous’ section of my quest log should be filled with some variant or the other of ‘Get 20 Z for ___’. It makes me want to spend less time in the game world- some fetch quests are fine, they are honestly a time honored RPG tradition. But so many of them is off putting. Plus, Bethesda could learn a thing or two from CD Projekt RED too- when The Witcher 3 had fetch quests, it ultimately disguised them so well that they felt like they had some actual stakes attached to them. If Bethesda do that, they could even get away with more fetch quests. Just… something has to change from the way they are doing things now, is all I am saying.